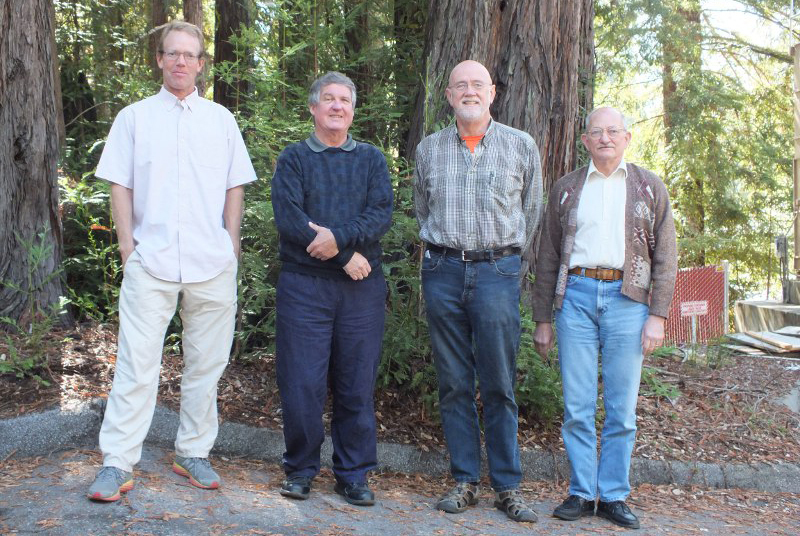 From left: Chris Ratliffe, Dave Cowley, Michael Peck, Jerry Cabak. The Engineering lab is responsible for some of the best astronomical instruments on this (or as far as we know, any) planet. The group works closely with various project Principal Investigators to produce designs that allow the instruments to meet, and many times exceed, the initial system requirements. The combination of talents in this department takes the projects from the conceptual stage and forges those concepts into working drawings that are then passed on to the Fabrication Shop for fabrication. The two dimensional spectroscopic capability and sensitivity of KCWI will allow it to investigate science questions as far-ranging as nebulae around dying stars, the coupled evolution of galaxies and quasars, and glowing gas surounding the first stars. The camera barrel assembly (with its many cells) will be designed, fabricated, and assembled at Lick and delivered to Caltech Optical Observatories for integration and installation with the instrument. K1DM3 will be a major enhancement of flexible observing at Keck, enabling rapid targets of opportunity observations, cadence programs, and ‘bad weather scheduling’ using the suite of K1 instrumentation. The K1DM3 will have the ability to switch between Nasmyth platforms and lock to any desired instrument on either platform. When stowed, it will track with the Cassegrain instrument below (LRIS or MOSFIRE) in order to remain out of the instrument’s FOV. In all other respects the design will be entirely interchangeable and identical in form, fit, and function to the existing M3 equipment module.